Posted On May 21, 2014 by Team iCynosure. Over the last few months, I've been attending numerous blogger events and it has been a fantastic development. I've been one of the most carefree, silly yet serious publishers of information being disbursed at the events, ensuring the right details reach my readers. However, I've noticed fellow bloggers lug around huge bags carrying numerous tools and when asked say those are imperative to being a blogger. And what strikes me odd is that instead of putting their hair down and enjoying themselves they sit grumpy recording, shooting and typing away furiously. I sometimes feel naive with just my small little handbag with no more than 5 things in it. shoulder and enjoy the games. Soon we were divided into teams and I individually popped my team-members with the golden question.. "What all do you carry in that bag?" The answers were as diverse as chalk and cheese, but everyone had about 5-7 things that seemed really important to a publisher. Mobile Phone, Tablet/Laptop, Camera, Writing Instruments, Dongle, Video Camera, etc etc. made the cut into the handbags. I wondered and peeped into my bag. Looking at the things inside I mentally ticked the boxes looking at one electronic gadget. Apart from doubling up as a camera, video recorder and a laptop, the one positive feature that stands out about the Dell Tablet is its PocketCloud feature that allows remote access to my computer post installing client on the device and sharing files in cloud. Wow isn't that simply awesome? During the entire event, I went crazy clicking pictures and videos, updating my twitter and instagram networks. Impressed with my social networking updates I was instantly rewarded with a beautiful product hamper at the event. While I could easily click pictures and videos while doing my designated team activities I saw my colleagues struggle with their devices. Given the fact that the Venue 7 doesn't weigh more than 300 gms and fits into my palm as easily, gave me the edge over the others. I know most publishers when going for an important assignment never want to take chances and are always thinking 'what if' my phone battery dies, my laptop doesn't connect, etc etc. But why take those chances when a single convenient option is available. Especially when the product is pocket-friendly, armed with great hardware, functions on the best software, and the most important it has a good running ending battery life. Yes, you do need to charge it and that's a given for any of the products. With the booming tablet market, the Dell Venue 7 is a great pick with its positive user experience, battery life and as a wonderful medium of social connect. So what are you waiting for? Dump all your multiple gadgets #geekchic and pick the only one you really need. 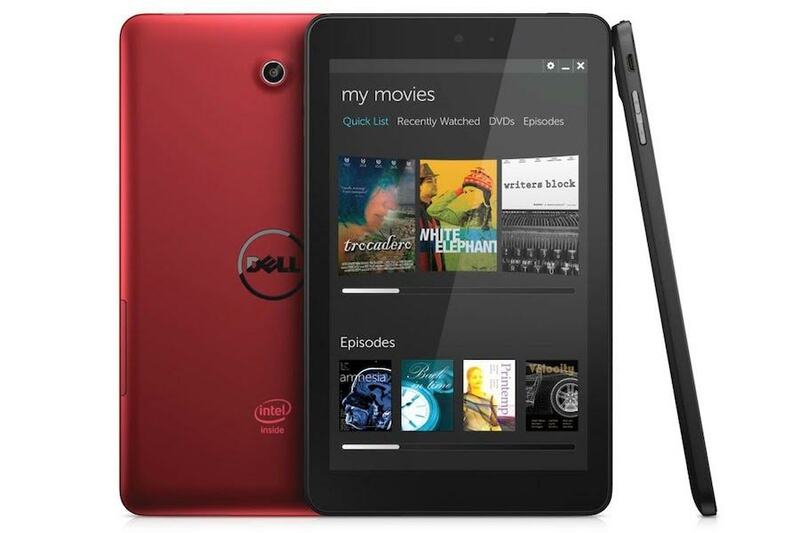 Hey Heena, Just stumbled upon your blog, doing research for a new Tablet, your experience with the Dell seems great! Thanks Smita. Yes its a great investment. Great Review! The Tab looks like a real multi-tasker!